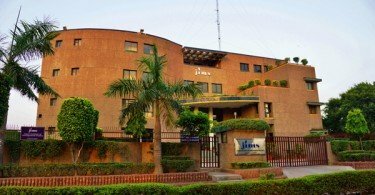 Nestled in Qutab Institutional Area, International Management Institute (IMI), New Delhi was established in 1981 in collaboration with IMI Geneva (now IMD, Lausanne). IMI is India’s first corporate sponsored Business School with sponsorship from corporate houses like RPG Enterprises, Nestle, ITC, SAIL, Tata Chemicals, BOC and Williamson Magor etc. Over a period of time in the last 33 years the Institute has acquired a truly global status. The Institute received UNDP assistance for promoting internationally oriented management education. Besides this it has also various other international linkages with bodies like World Bank, UNDP, ILO, UNCTAD, Asian Productivity Organization etc. To provide a global perspective to the students, the Institute’s flagship two year Post Graduate Programme in Management has a student exchange programme with various European Schools such as ESC Rennes, France, MIP School of Management France, Graz University Austria, IESEG School of Management and IDRAC Lyon, France etc. 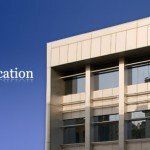 Besides this IMI is one of the empanelled Institute of the Ministry of External Affairs, GOI, for special Commonwealth Assistance Programme under which the Institute gets the executive MBA students from various Afro – Asian countries for its 15 months Executive Post Graduate Programme in Management. IMI follows international standard curricula in its programs, which has been enriched by its academic collaborations with International Institute for Management Development (IMD), Lausanne (erstwhile International Management Institute, Geneva); Faculty of Management, McGill University, Montreal, and Manchester Business School, U.K, which prepares participants to successfully manage and lead in an increasingly global business environment. IMI’s educational programs have been recognized by All India Council for Technical Education (AICTE) and Ministry of Human Resource Development, Govt. of India. 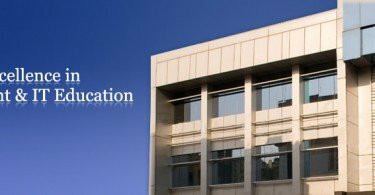 IMI offers the below Post-graduate programs and one Doctoral program in its Delhi Campus. All programs are approved by AICTE. 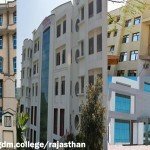 a) Two year full-time Post-Graduate Diploma in Management (PGDM). b) Two year full-time Post Graduate Diploma in Human Resource Management- (PGDHRM). f) Fellow Program in Management (FPM). In addition, the institute offers a full range of custom-made in-company programs, and Management Development Programs (MDPs), all geared to enrich creativity and ability to manage in a dynamic global environment. The Institute also has an active research and consulting base viz: Center for Managing Innovation and Technology and Center for Social Sector Governance to enhance the body of knowledge. The Management programs are designed to enable a selective number of young professionals who have been judged to have high potential, to reach responsible positions in industry. The programs at IMI foster integrative capabilities with cross-functional program modules that synthesize a number of specialized disciplines into unified learning experience. A highly committed team of internationally qualified and experienced faculty enjoys respect and recognition by the academic community, industry and Government. To be a premier global management school. To develop socially sensitive, ethical, value adding leaders and organizations through relevant teaching, research, training and consulting that serve stakeholders’ interests. The aesthetically designed IMI, India Campus es a stimulating atmosphere, conducive to all round development of a participant. The Amphitheatre is the nodal point of campus life around which the academic block, residence and recreational facilities are located. The centrally air-conditioned academic complex consists of spacious lecture halls, the Tata Chemicals Computer Centre, BOC Conference Room, RPG Auditorium, Williamson Magor Library, Faculty Chambers and Administrative Offices. All lecture halls have access to latest presentation equipment such as DLP Multimedia Projectors, Laptop Notebook Computers, Electronic Copy Boards, OHP Projectors, Internet and Intranet Connectivity and a State-of-the-Art Sound System providing for a unique/wholesome complete classroom experience. IMI has a state of the art computing facility for the students on campus. The Tata Chemicals Computer Centre has Five servers (IBM, HP) with Windows 2008, Windows 2003, and Linux as the operating environments. The campus has a network of more than 400 plus computers, which is Wi-Fi enabled to ensure mobile computing at all locations including hostel rooms, amphitheatre and canteen. The campus has a 155 mbps, 24-hour high-speed internet connectivity. IMI Campus has two exclusive high-tech computer labs. These computer labs are equipped with more than 100 (HP) computers having latest chip-set with TFT monitors for on-line classes and practice sessions. Two high-speed laser printers and one A-3 Color DeskJet printer are available for printing jobs. The software library includes the latest software like, Windows Vista/XP Professional, Microsoft Exchange 2007, Windows 2000 Professional, Microsoft Office 2010, Office 2007, Visual Studio 2000, QSB, CMMS, QSOM, E-views 8, MS Project 2010, SPSS 20.0, SAS, MSDN Academic License, Quick Heal End Point SecutiryServer Client Editions, SAP, MS Back-office 2000, ORACLE 8i (ENTERPRISE), Internet Developer Suite with ATS, Visual Age for Java Enterprise, Web-sphere Studio Advance Edition, Macromedia Director, Corel Draw, Photoshop, Rational Suite, Mathematical 4.2 Software. Online assessment software is installed on the network for grading, online feedback, online quiz, and online attendance. The students, staff and faculty have been provided with Login to access the software anywhere in the campus to view student performance. Each faculty member is provided with Sony Vaio laptops for mobile computing and a LaserJet printer. All research associates, secretaries, library, accounts and administration staff is provided with an Intel Pentium based personal computer. The program is approved by AICTE, accredited by Association of MBA’s (AMBA). IMI follows the trimester system with the academic calendar beginning in the month of June 2016 and each trimester being of 11-12 weeks duration. At the end of the first three trimesters of the program, all students are required to undergo compulsory summer internship for 8-10 weeks in the industry. The program equips students with strong conceptual skills to manage businesses in an integrated manner. The emphasis is on developing a holistic manager with a vision to take on the challenges of the future in a socially sensitive manner. 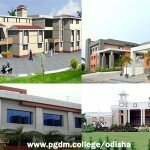 Participants for the PGDM program may be from any discipline such as Engineering, Humanities, Commerce, Economics, Medicine or any other branch of education. Candidates with relevant work experience as also fresh graduates are welcome to apply. Courses in the 2nd year are designed to offer students an opportunity to pursue their interests in various functional areas. Students will thus have an opportunity to specialize in the functional area of their interest. A student can specialize in more than one area, the areas being Marketing, Finance, Strategy, Information Systems and Operations. 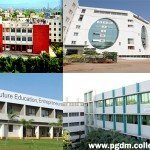 In the PGDM program specialization is not offered in the area of Organization Behavior and Human Resource Management. A student also has an opportunity to pursue a Course of Independent Study (CIS) in lieu of an elective, to further his/her interest in a particular area, subject to meeting the conditions specified for the purpose and reviewed from time to time. On completion of First year, all students are required to gain hands-on experience in the application of core concepts and functional skills. This practice of ‘Learning by Doing’ helps the student relate the rigor of theory in the world of business. The students work on projects as per the specification of the company. At the end of eight to ten weeks of such a closely guided project, under the supervision of the company executive(s), they submit a report to the company and the institute. The concerned company executive normally provides feedback to the Institute on the student’s performance. Successful completion of Summer Internship is an essential requirement for the award of IMI Post-Graduate Diploma. Faculty at IMI enjoys academic freedom to adopt appropriate pedagogy for imparting education. Pedagogy would be a combination of lectures, case discussions, presentations, assignments and project work. The primary emphasis would be on interactive and participative methods of learning. Faculty for the program is primarily in-house from IMI but may also include Adjunct or Visiting faculty. Guest lecturers from industry practitioners are also organized to expose students to the current business environment and practices. Classes for the PGDM program are held every day starting at 8.30 am and can extend up to late evening hours, including weekends, to suit the requirements of the program. Each class is of 90 minutes duration. Attendance in all classes is compulsory. Classes shall tentatively begin, from the 2nd/3rd week of June 2016. The fee structure for self-sponsored /company sponsored and NRI /POI/Foreign students for PGDM, PGDHRM & PGDM (B&FS) programs is given in the following table. The 1st installment of the fee, specified above, will be payable within 2 weeks of the release of Admission Offer. Each subsequent installment will be due for payment within 7 days of commencement of each term, as per the Academic Calendar. 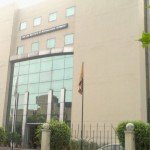 A penalty of Rs.100 per day, beyond the period specified above from 2nd installment onwards, will be charged in the event the fee is not paid within the due dates, unless express permission has been obtained well in advance from the competent authority. 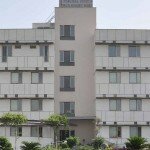 * There are limited number of Non-AC rooms which will be allotted on first come first serve basis @ 92,000/ p.a. ** Mess charges are indicative and subject to review depending on changes in input costs. 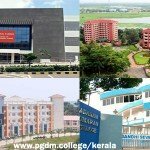 Participants for the PGDM(HRM) program may be from any discipline such as Engineering, Humanities, Commerce, Economics, Medicine or any other branch of education. Candidates with relevant work experience as also fresh graduates are welcome to apply. The curriculum is designed with a holistic approach to human resource management. The course comprises 114 credits distributed among several compulsory and elective courses, and the Summer Internship. Since the emphasis is to provide specialization in HRM, the effort has been to provide a balanced package based on industry requirements. 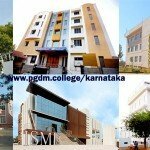 Classes for the PGDM(HRM) program are held every day starting at 8.30 am and can extend up to late evening hours, including weekends, to suit the requirements of the program. Each class is of 90 minutes duration. Attendance in all classes is compulsory. Classes shall tentatively begin, from the 2nd/3rd week of June 2016. The fee structure for self-sponsored /com pan y sponsored and NRI /PIO/Foreign students for PGDM, PGD(HRM) & PGDM (B & FS) programs is given in the following table. * There are limited number of Non-AC rooms which will be allotted on first come first serve basis @ 92,000/- p.a. Participants for the PGDM (B&FS) program may be from any discipline such as Engineering, Humanities, Commerce, Economics, Medicine or any other branch of education. Candidates with relevant work experience as also fresh graduates are welcome to apply. The fee structure for self-sponsored /com pan y sponsored and NRI /POI/Foreign students for PGDM, PGDHRM & PGDM (B & FS) programs is given in the following table. Started in 1984, the 15 month Executive Post Graduate Program is designed for experienced middle level managers who wish to take up leadership roles in the industry or have been identified by their organizations for such roles. The Program provides general management and functional area orientation with emphasis on international and cross-cultural exposure. The Program would provide an opportunity for personal as well as professional growth through a rigorous interactive learning environment including a 5 week International study module. The Program is approved by AICTE and accredited by Association of MBA’s (AMBA). We now invite applications for the 2016-17 batch, classes for which shall commence in second week of May 2016. The Program is being offered with the following objectives. To equip middle level managers with management skills necessary for leadership roles. To supplement existing expertise of participant with general management & functional area knowledge. To enhance analytical skills for effective decision making. To provide a learning platform to handle cross-cultural issues in managing a business in a global environment. To inculcate values and attitudes which contribute to a socially sensitive & ethical behavior.